Distance and Blended Learning in Asia is a unique and comprehensive overview of open, distance learning (ODL) and information and communication technology (ICT) in Asian education and training. Broad in coverage, this book critically examines ODL and ICT experiences from Japan to Turkey and from Sri Lanka to Mongolia – drawing conclusions from the successes and failures, and recommending ways in which planning, management and practice may be developed for the world’s largest concentration of adult open and distance learners. This pioneering book draws on Asian theory, research and practice to identify the strengths, weaknesses and challenges in all sectors of Asian education and training. It critically and insightfully discusses the ideas, skills and practices that are necessary to advance knowledge in leadership and management, professional development, innovation and quality assurance and research and diffusion. 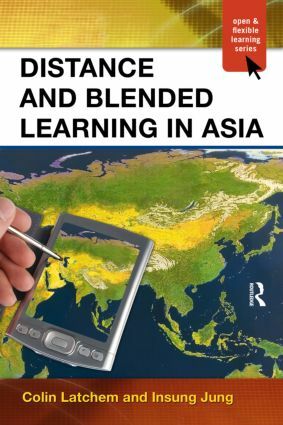 Distance and Blended Learning in Asia provides an insightful, informative and critical review of ODL / ICT developments in schools, open schooling, colleges, universities, workplace training, professional development and non-formal adult and community education. The book is an invaluable reference for ODL / ICT professionals, educators and students anywhere in the world, and is essential reading for all of those involved in ODL / ICT in Asia.